In order to correctly cover this issue, there will be a series of blogs. 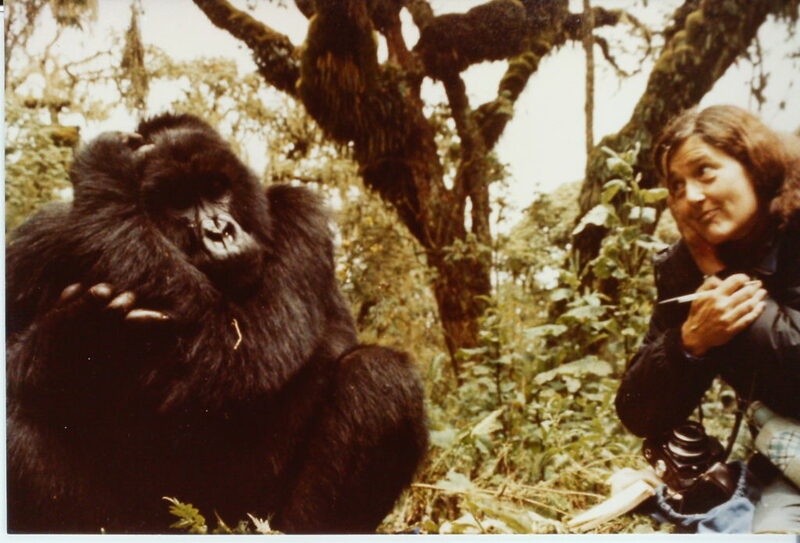 In the 12th grade, I gave a presentation on gorillas for my class in biology, and for this purpose I especially researched about Dian Fossey, who not only researched about gorillas, but also protected them. Her book “Gorillas in the Mist” really inspired and captivated my interest at the same time. How could people be so cruel? How could the world allow these kinds of things to happen? These were questions that really inspired me but also triggered something inside. I could not understand how people could be so cruel to such innocent and peaceful animals. I wanted to change something so that such terrible things would not happen to other creatures. Essentially, I do not really know how or who I could contact. For the time being, I got involved in organizations like the Dian Fossey Gorilla Fund with Gorilla Adoptions. Over the years I started to become more active in the field of protecting the environment. It started mainly at home. From separating the rubbish, where our food comes from as well as reducing the use of plastic in all areas of my life. It was only during my studies in pedagogy that there was an urge to change things on different levels. I further informed myself and did research, I especially came across books like „Wut allein reicht nicht“ (Anger is not enough) by Hannes Jaenicke, „Mülltrenner, Müsliesser und Klimaschützer“ (Recycling, eating muesli and protecting the environment) by Volker Quschning, „Nachhaltigkeit“ (Sustainability) by Grunwald & Kopfmüller, and many more. The first two books had a great influence on my way of life. My lifestyle has gradually changed (and this still applies today) to a sustainable one. Therefore, as a result of this I came across the concepts of sustainability and education for sustainable development (ESD). The topic of ESD was for me the ideal connection of pedagogy and environmental protection: However, what does education for sustainable development exactly mean? Fifteen years later, the United Nations launched the “Education for Sustainable Development” this was supposed to cover the time from 2005 to 2014. “Education fulfils vital functions in raising awareness about sustainability problems and developing the competence to deal with them” (Grunwald & Kopfmüller, 2006). Where do my clothes come from? From Bangladesh where there are terrible working conditions with low income as well as uncountable work hours or from Italy in a factory with fair wages and bearable working conditions? So, do I contribute to the decline in the resources from our forests, or rather if possible, only use recycled paper, toilet paper, copy paper or kitchen towels. There are important aspects such as justice, health as well as keeping in mind the interests for our future generations. Do all children have access to free education and health care? In Bali, a grandfather told me about how happy he was living in a house with three generations so that they could raise the money for one of his two grandchildren to go to school. This was not possible for the previous generations. 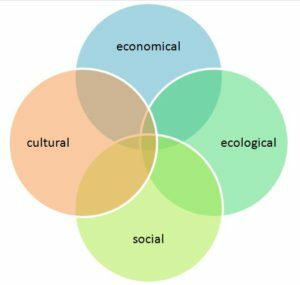 To what dimensions are the different lifestyles effected by sustainable development and how is it possible to implement this according to their culture and values? In order to specify these dimensions according to Agenda 21 and the process of the UN Decade for ESD, on September 25, 2015 the UN together with 193 states established 17 global goals (so-called Sustainable Development Goals- SDG´s or Global Goals). In the upcoming articles, individual objectives are presented in order to get a deeper insight into these goals. Part 2 of the blog will soon follow.